Luna Leggings are inspired by three lively, adventurous, inquisitive young souls – my kids! – and how they choose to tread the world around them. As they mature, so do their individual tastes + interests. In work, in play, with friends + with courage standing alone, their shifting choices are directly reflected in the continual evolution of Luna’s unique style + on-trend designs. As an urban family of five, living our day-to-day life bounded by concrete, traffic + schedules, we have to actively seek out a deeper connection to the outdoor world. I love how nature brings peace + creativity to young minds. If we can instill a small piece of this joy + respect for the outdoors to families in our every day life, then we have succeeded. We will stay true to our roots by always creating from a place of love + fulfillment for my family + our entire community. Not your ordinary tights! Luna Leggings are thoughtfully and carefully constructed by a small, family-run knitting company in Rajasthan, India. Our close relationship optimizes quality and reliability. Having real relationships with the manufacturers family, their children, and production managers assures not only an optimal product, but also gives us confidence to dress our families, friends, and customers in safe, non-toxic, + environmentally-friendly apparel. We’ve created versatile styles and hip designs that fit well and wear well. Using the perfect blend of high-quality organic cotton enables us to produce ultra-soft, long-lasting leggings. Nylon stitching and seams maximize stretch and strength in all of our products. A wide, reinforced waistband adds comfort and stay-ability. Luna Leggings are compassionately made in every way, and ultimately, something kids will actually want to wear again and again- comfortable, fashionable and durable. At the core of our business is the desire to give back to our community. 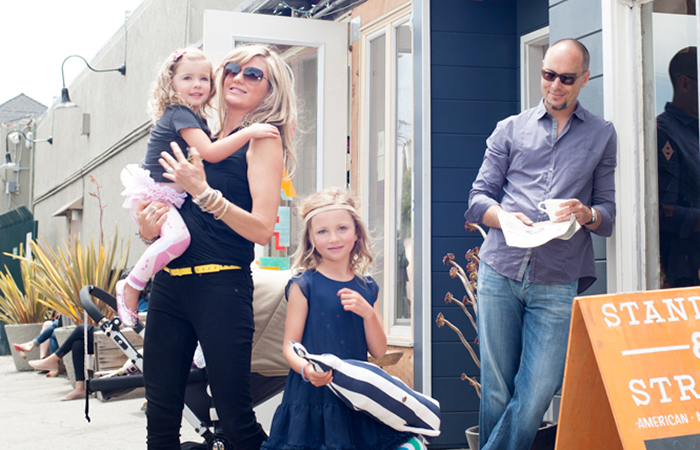 Creating an organic, eco-friendly product we feel great about for our children + the world is the priority. Our success also enables us to support local causes in various other ways including donations to important non-profit organizations including Alice Water’s Edible Schoolyard Project, Project Night Night + Loved Twice. We will continue to grow + expand our reach to a more sustainable community! 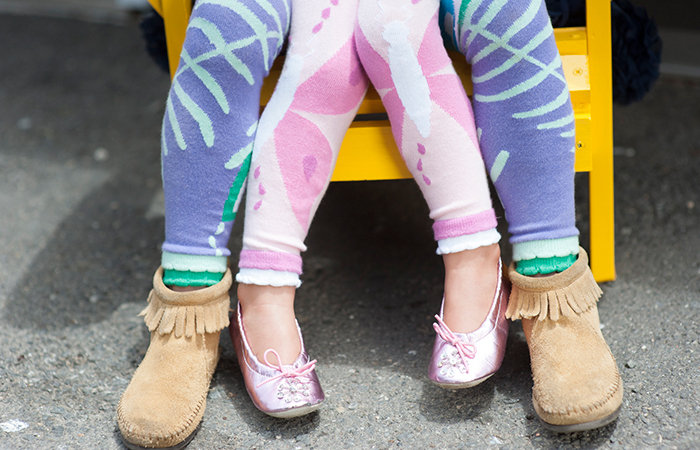 Luna Leggings were created to add spice, fun, and whimsy to every child’s wardrobe. I sincerely hope to promote adventure and creativity in the world around us. We so appreciate all the love + support from family, friends, our community + all our longtime customers. If we brighten just one child’s day, inspire a glimpse into the outdoors, of nature, or renew an appreciation of color, we are fulfilled.